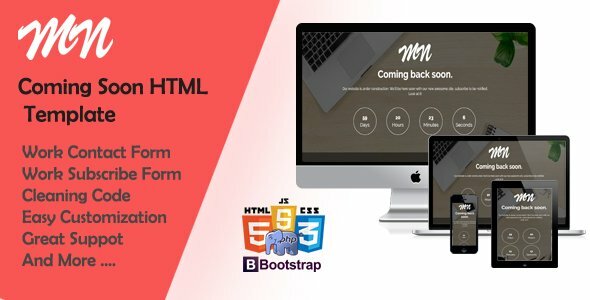 MN is a fully responsive, creative, clean and modern minimal coming soon template, It helps for typing your next upcoming ideas with PHP contact form and PHP subscribe form. MN based on Bootstrap framework. It will come with different versions soon .